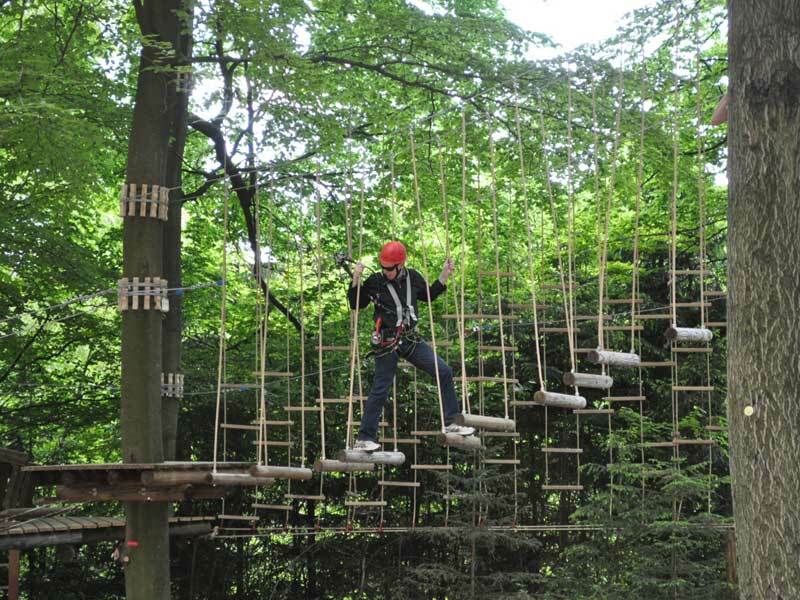 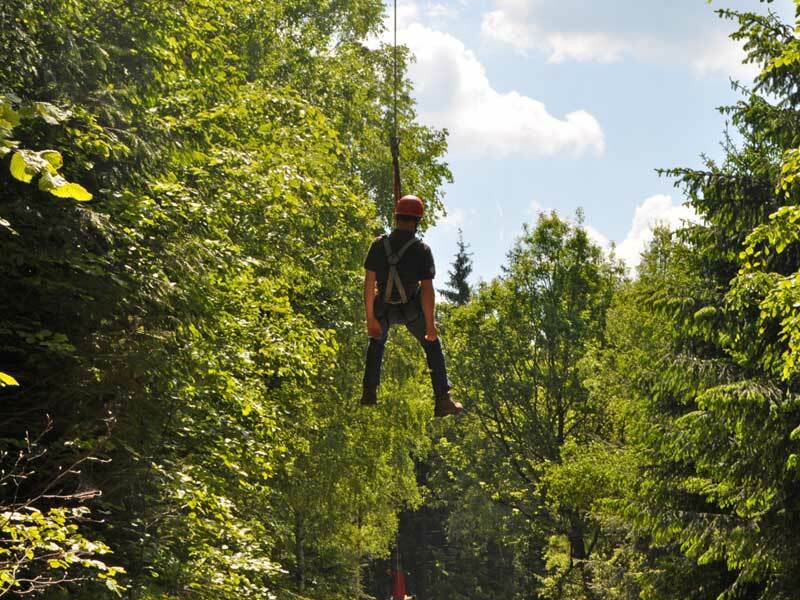 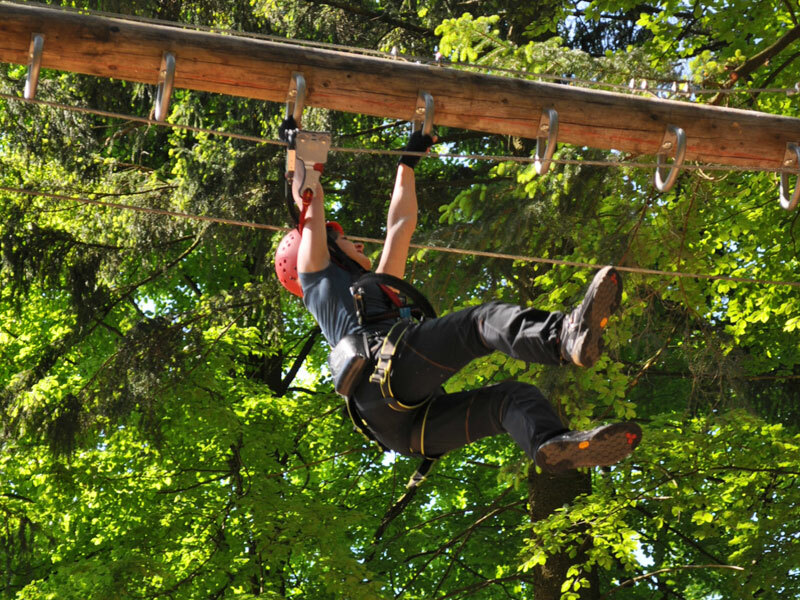 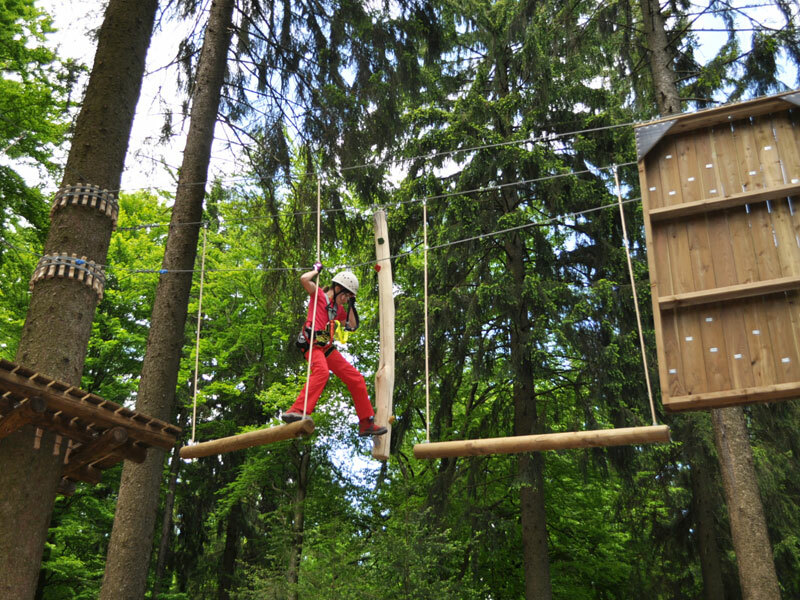 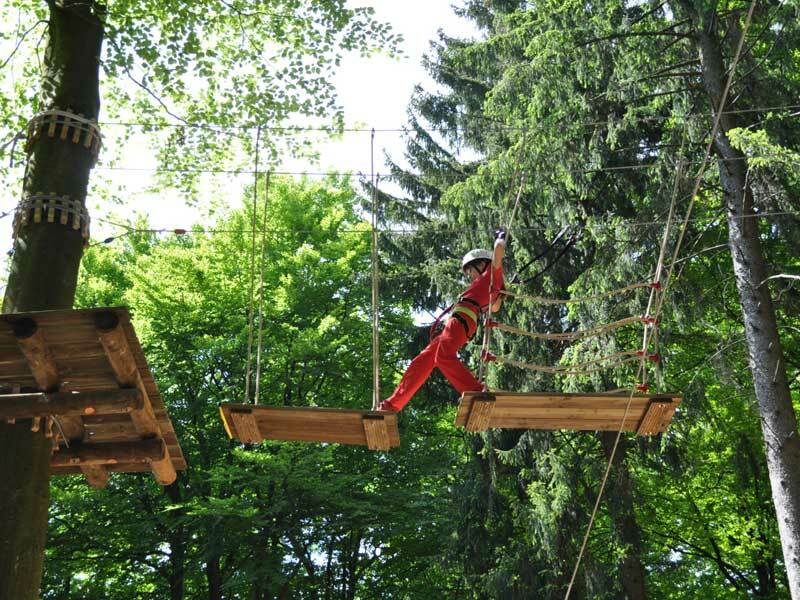 Since June 2013, visitors to the Wilderness Park in Weiskirchen (Saarland) can observe not only wild animals in the enclosures, but also test their own fear of heights in a newly established adventure park. 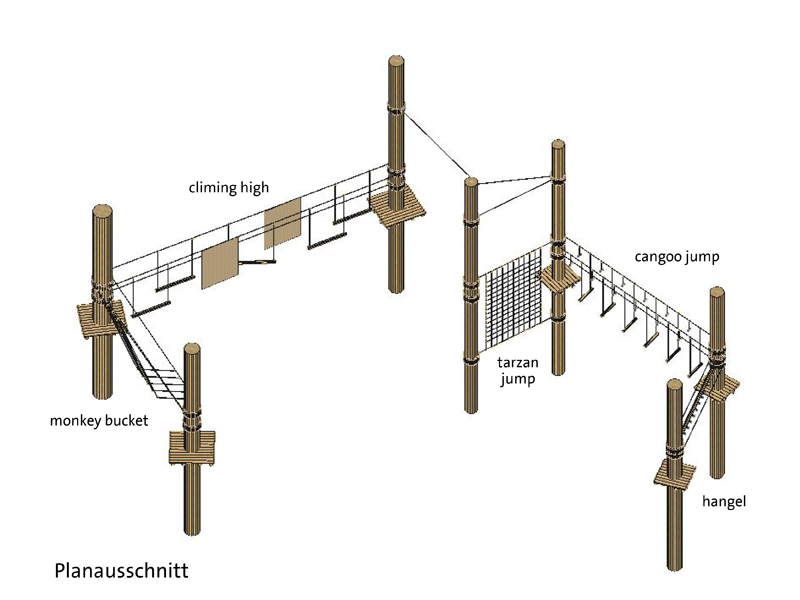 The location is optimal due to the already available infrastructure making this rope course the ideal supplement to the already existing game park. 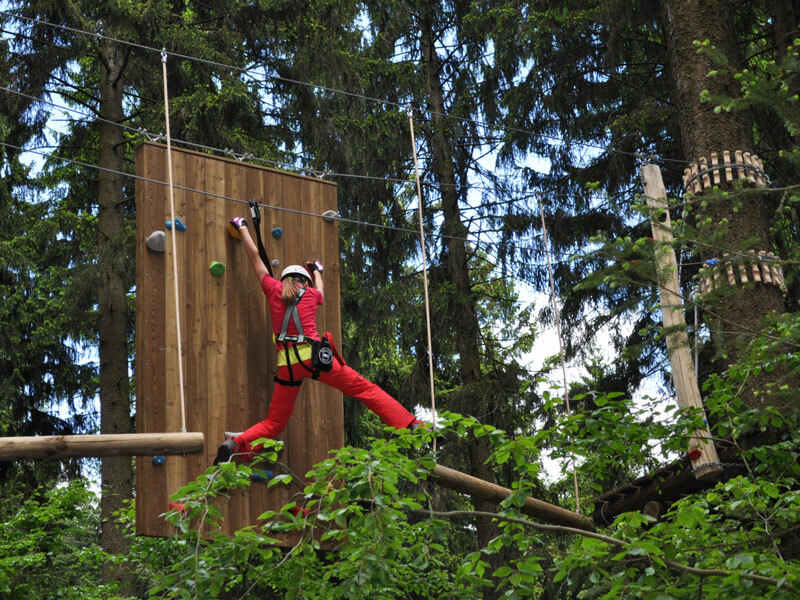 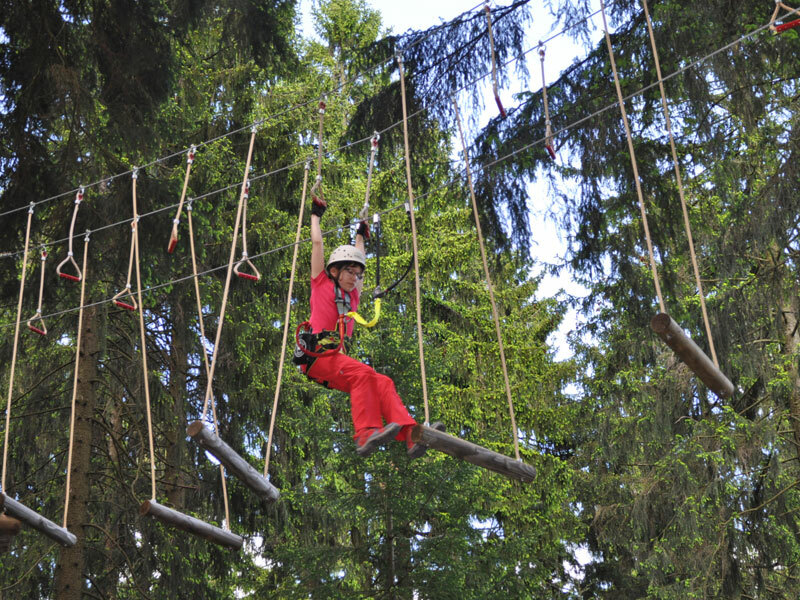 50 climbing elements are distributed across five parcours, containing exciting elements like ‘Tarzansprung’, ‘flying carpet ’and ‘Monkey Bridge’. 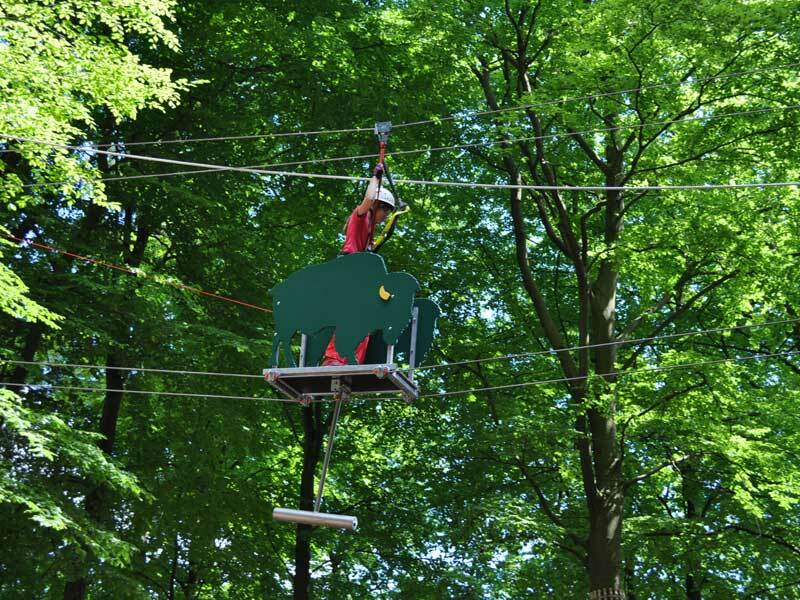 On the back of a bison – the park mascot – the participants can glide from tree to tree. 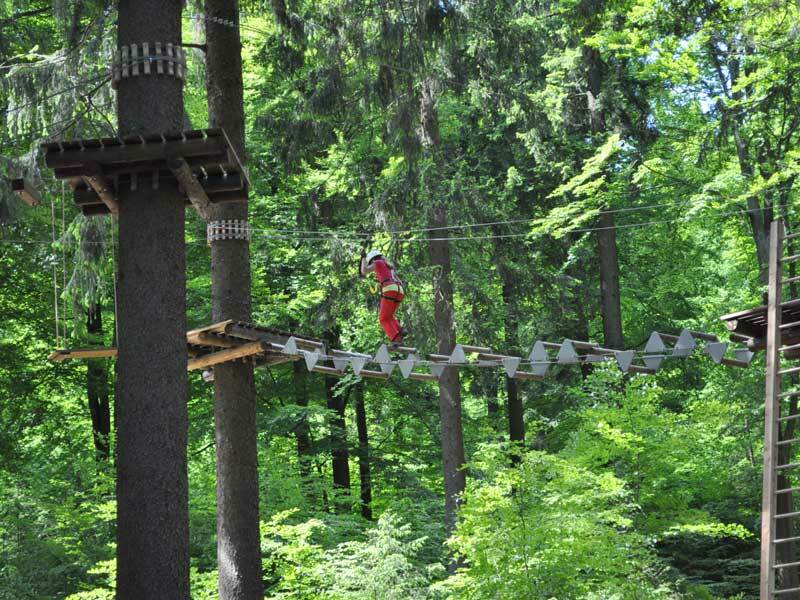 A special challenge for the visitors is a 135-metre-long Flying fox connecting two platforms with each other. 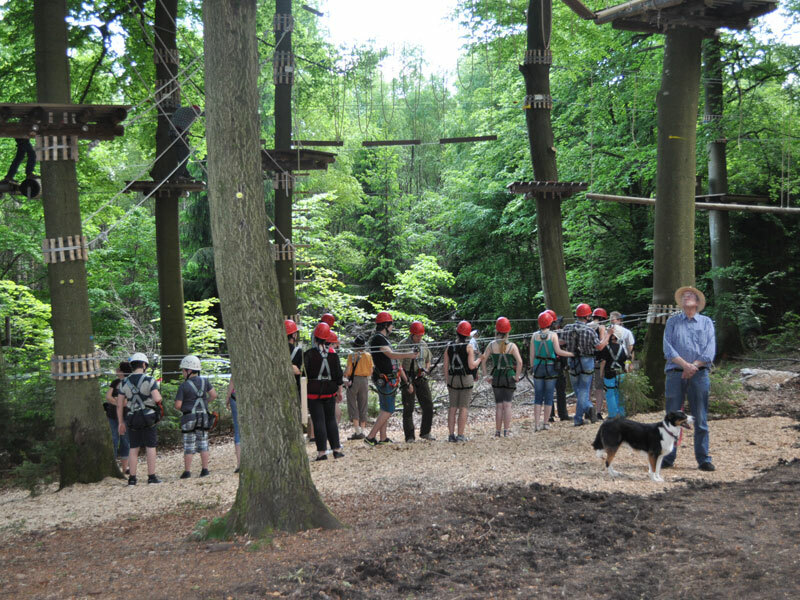 To guarantee a safe and problem-free operation, the communicating safety-system SSB (Bornack) was used. 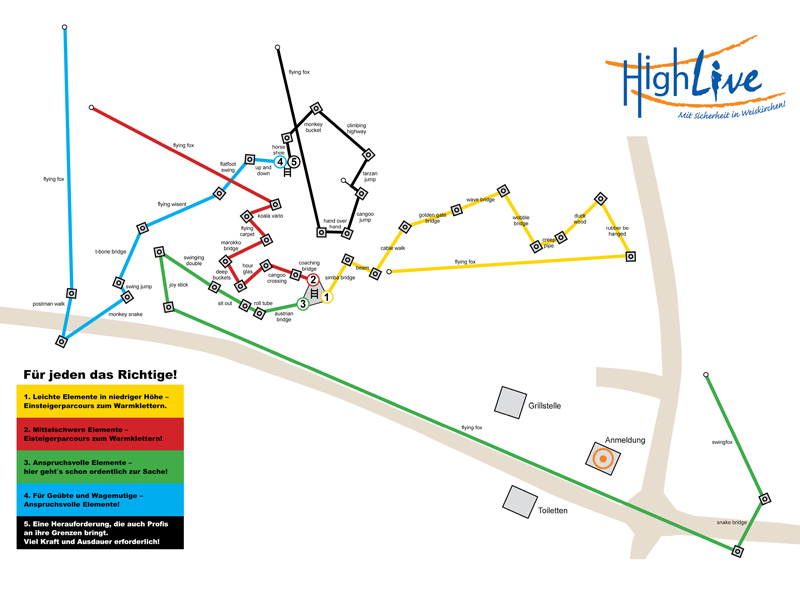 With this project we were not only responsible for the planning and the construction. 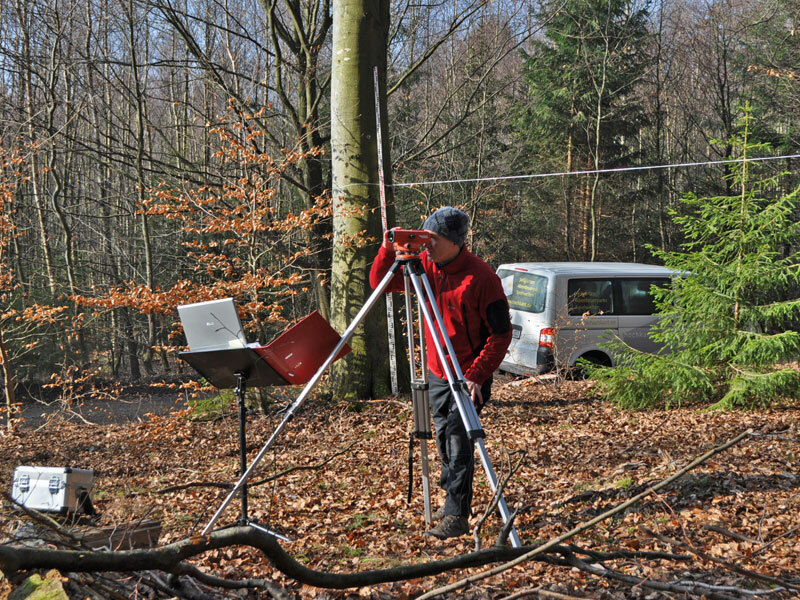 We also supported ‘Hochwaldtouristik Weiskirchen’ with the search for a suitable operator. 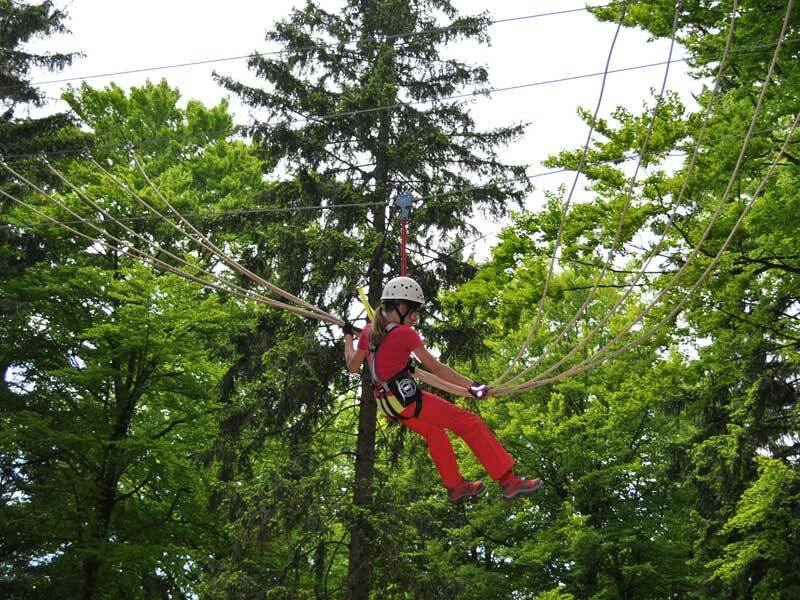 Through our well-developed network in this industry, we were able to link with Live Soziale Chancen Inc., with Thomas and Uli Mai as CEO for this project. 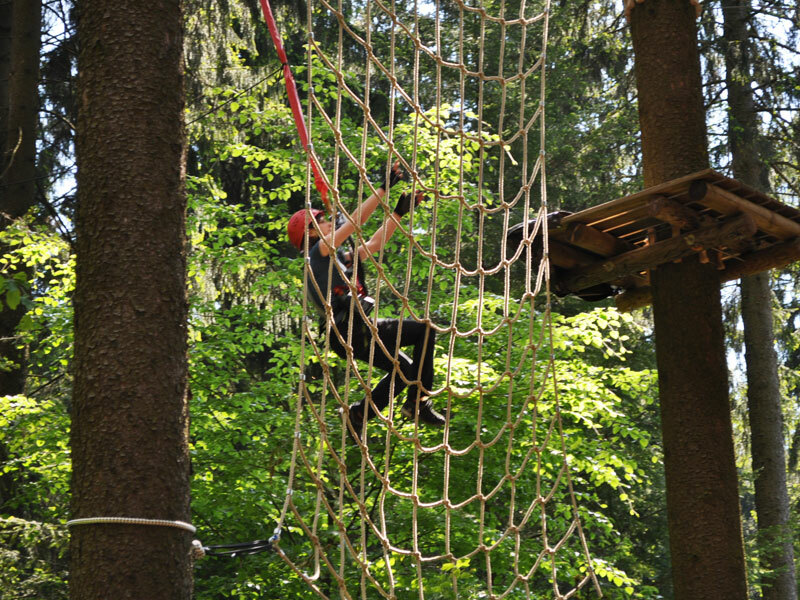 Both experienced trainers, they have already lead a successful ropes course in Deuselbach for several years.